Cosplaying and attending geek-centric social gatherings since the release of Hello Kitty: Roller Rescue on Nintendo's short lived Gamecube, D-Piddy’s unique take of the morally ambiguous Deadpool has infused levity and multi-fandom awareness to a character many fans have admired for years. 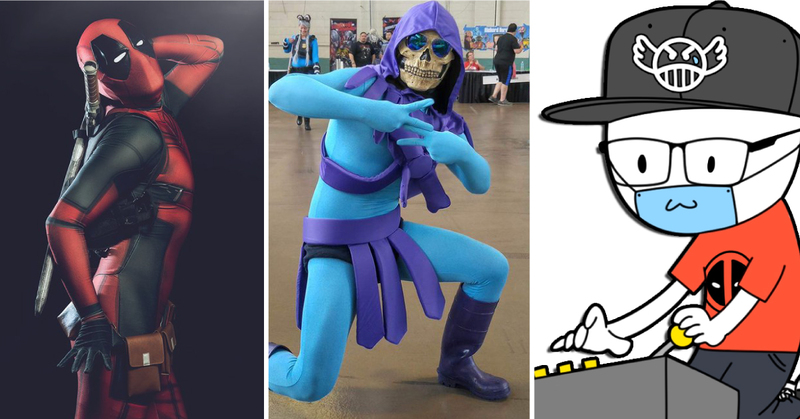 Starting his YouTube channel in late 2012, D-Piddy now creates content that spans various genres within pop culture, sometimes even collaborating with the likes of Marvel, 20th Century Fox, Bandai Namco Entertainment and Arc System Works. Destined to save the world, D-Piddy now travels the universe on his trusty robot unicorn, the Mikazuki 5, always on the lookout to discover new meanings to life, in the pursuit of knowledge, adventure and love. You can also find him playing his favorite video games on Twitch nowadays.